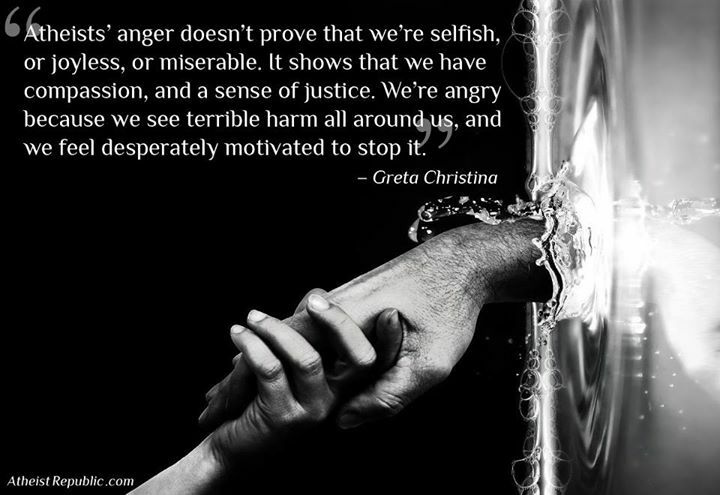 Atheists’ anger doesn’t prove that we’re selfish, or joyless, or miserable. It shows that we have compassion, and a sense of justice. We’re angry because we see terrible harm all around us, and we feel desperately motivated to stop it.